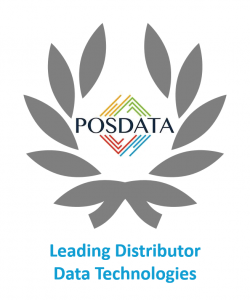 POSDATA is a distribution leader of data collection technologies. Through its partnerships with the major manufacturers, POSDATA can provide a complete line of solutions for your business requirements. With over 20 years of experience, you can rely on our expertise to recommend a solution optimized for your application. Due to our high sales volumes, we can provide you with the best possible pricing. You can depend on the technical resources of POSDATA to assist with printer configuration and troubleshooting. Our technical personnel receives the latest product and certification training on an ongoing basis. Our goal is for you to be up and running confidently and we won’t be satisfied until you are. POSDATA is a leading distributor of desktop, industrial, & mobile printers; scanners; mobile computers; RFID readers; and labels & printing supplies.